If you have been to Myanmar, you definitely know of what Thanaka really is. 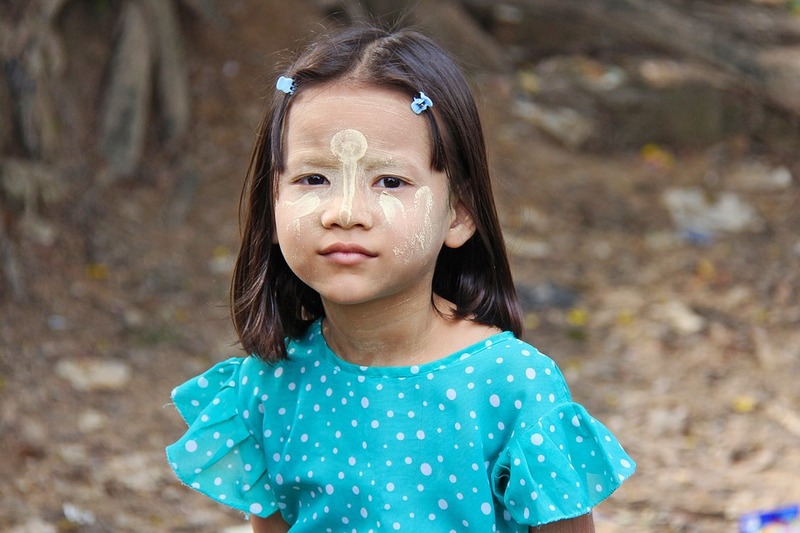 Even if you haven’t got chance to visit Myanmar, perhaps you may have come across the pictures of Burmese girls or women wearing some kind of paste on their face and that is what is called Thanaka. Thanaka – commonly can be described as a natural sun protection found mainly in Myanmar. Thanaka is basically an extraction from the wood of several trees mainly from the Thanaka tree that widely grows extensively throughout the country. Thanaka is prepared by grinding the extracts: bark, wood, or roots of a thanaka tree. And to apply it on skin, it is prepared with a small amount of water to make a gluey, creamy liquid and the smell of Thanaka is quite similar to Sandlewood.The cream is applied to the face as sun protection. For centuries in Myanmar, women of any ages have been using Thanaka cream for beauty and protecting the skin from harsh sun rays and to some extent even men use it. 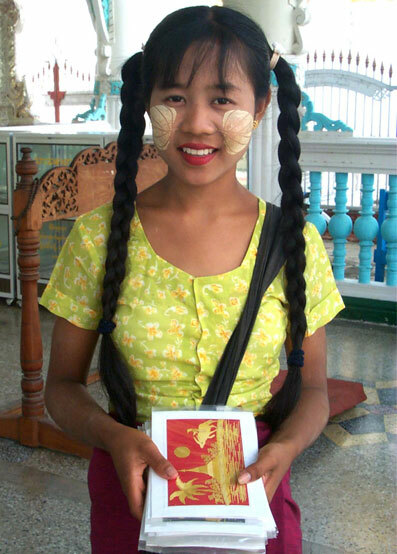 In Myanmar, you will see people have their cheeks and nose painted with Thanaka – that is golden yellow color – on a circular patch and sometimes in attractive designs made in stripes with the fingers known as thanaka bè gya, or in the shape of a leaf and also emphasizing the bridge of the nose with the cream. People from rural areas even apply it on their bare arms and legs before heading off to work out. 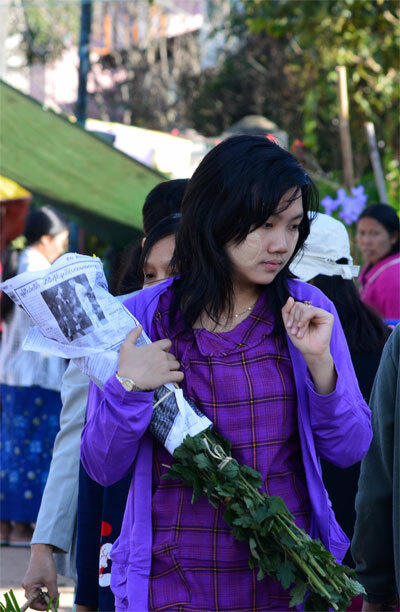 Thanaka is very popular and common in Myanmar. You can buy Thanaka in its natural state as small logs individually or in bundles. Nowadays, they are also available as a paste, in powder form or creams that sold in Myanmar supermarkets. They are also exported largely for Myanmar people living outside the country. Some commercially prepared are even used by Thai spas in their treatments. Thanaka can be considered as local all in one natural beauty product since it also aids the skin with acne, acts as cooling sensation, anti-fungal, promotes smooth skin and protects the skin against harsh sun rays as it contains many beneficial properties including high concentration of antioxidants and anti-inflammatory properties. But the usage of Thanaka powder is not only limited to skin beauty, culturally, it holds substantial meaning to the people o f Myanmar. Applying Thanaka powder is believed to help them to avoid evil spirits and bad luck and also bring good luck to those using it. Don’t forget to grab one when you are in Myanmar!